Materials related to American Indians or Native Americans make up a very substantial portion of the Readex’s new digital edition of Territorial Papers of the United States, 1764-1953. Indeed, few other topics in the database are covered in such depth. The reason for this is that the Territorial Papers of the United States contains all of the Territorial-era documents collected by the State and Interior Departments, and this means—crucially—that it contains all of the reports and correspondence of the Territorial Governors, whose chief duties and challenges often revolved around the American Indians within their territories. 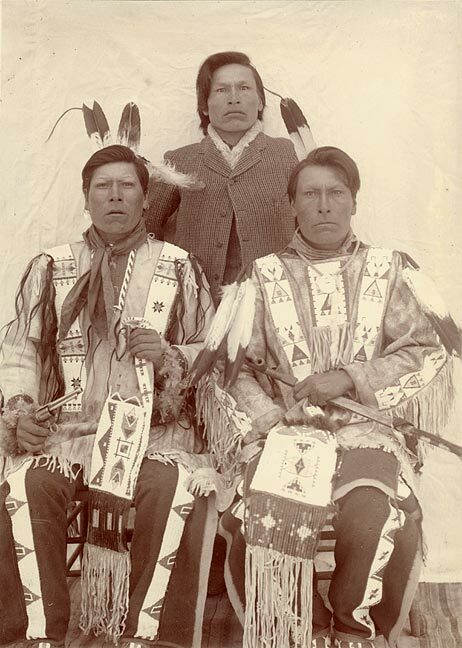 Because of this, this new digital resource will provide researchers with a vast amount of material on Native America—material that until now was only available by locating and researching the original documents or corresponding microfilm at the National Archives. The new Readex digital edition of Territorial Papers of the United States is a separate and different sort of publication. Of all the territorial-era documents in the National Archives, the records of the Territorial Governors form the most basic, foundational documentation of the interactions between American Indians and the new settlers in each territory. The reason for this lies in the broad responsibilities and vast powers that were vested in the governors. 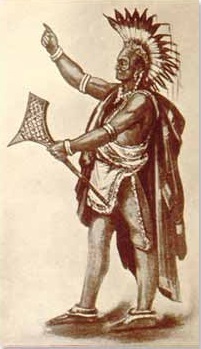 Chief among the Territorial Governor’s responsibilities was the defense of the Territory, and in most Territories this was above all a defense against “Indian depredations.” For this reason, the Territorial Governors also held the post of Indian Superintendent, and were thus responsible for negotiating and enforcing agreements with the Native American tribes of the region. 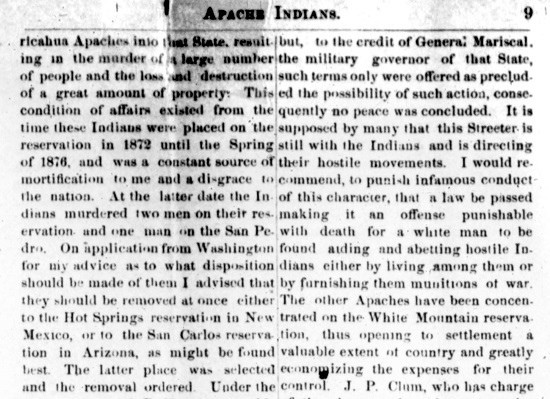 The terms of those agreements, however, had to be cleared with Washington, D.C. As a result, the correspondence between the Territorial Governors and the Federal Government (mainly with the President, the Secretaries of State and Interior, the Senate, and the War Department) will provide researchers with thousands of pages of valuable information on how and why the terms of Tribal agreements were formed, as well as on the political forces and Party factions that affected their negotiation and enforcement. 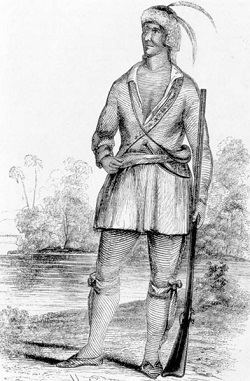 The Territorial Governor was also Commander and Chief of the Territorial Militia, and often used the Militia to force tribes to the bargaining table. 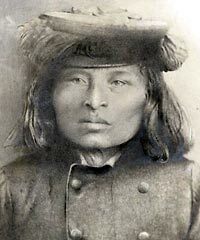 When faced with more powerful American Indian forces, the Governors worked with the War Department to have Federal military posts constructed and manned by Federal troops and cavalry. (The Federal forces were technically under the command of the War Department, but were often effectively under the control of the Governors for practical reasons of proximity and limited communications with Washington.) The Readex database contains all of this correspondence. In many territories, the Territorial Governors’ dealings with local Native American tribes extended well beyond conflict and peace treaties. 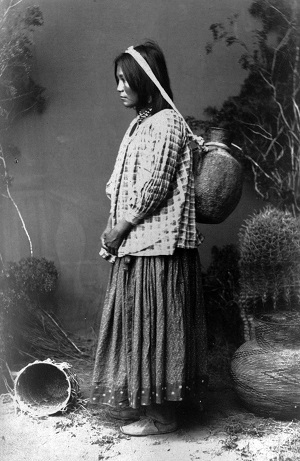 The Governors also oversaw programs and resources to help the tribes shift to an agrarian economy and to create trading posts so that the tribes could advance economically along with the newly arrived immigrants. 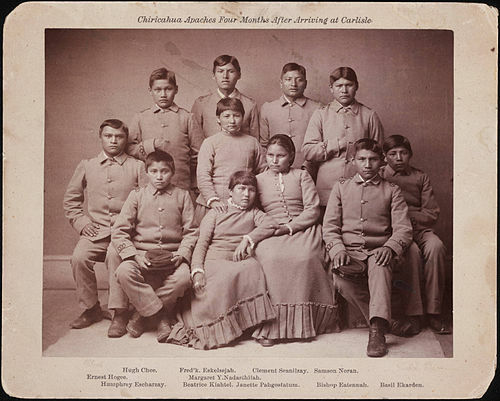 The governors also devised ways to teach American Indians to learn English, and worked on finding the funds and passing the legislation required for the creation of schools for Native American children. These topics, too, are covered in the database. Although the stated coverage of the publication is 1848-1858, most of the correspondence (which comprises Part 1) dates from 1792 to 1816 and relates to the voyage of discovery led by Captains John Kendrick and Robert Gray to the northwest coast of America, the purchase of tracts of land, and the discovery of the Columbia River. The Executive Proceedings (Part 2) date from 1853, when the area north of the Columbia River was withdrawn from Washington Territory and designated the Territory of Oregon. Oregon achieved statehood in 1859. Except for routine official documents, appointments, commissions, proclamations, and fiscal accountings, the majority of the records relate to Indian problems, especially the Cayuse War of 1847, the Rogue River uprising of 1852-53, and the Yakima War from 1855 to 1858. A number of documents mention the Hudson Bay Company and the Puget Sound Agricultural Company. 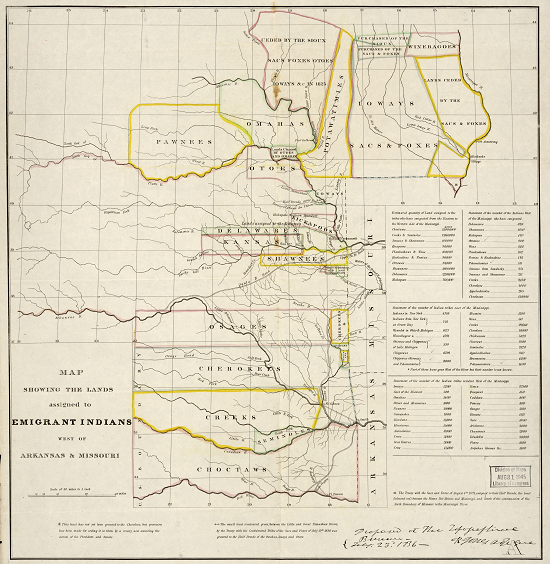 The act establishing the Dakota Territory was approved in 1861. The territorial papers date from that event until 1873, when the supervision of the territory was transferred from the Department of State to the Department of the Interior. The Dakotas were admitted to the Union in 1889. The annual reports of the governor include copies of proclamations, messages, and proceedings of the Executive Office and the Legislative Assembly. 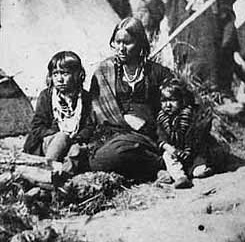 The reports are concerned to a great extent with the hostility of the Indians, the desire to have the transcontinental railroad pass through the territory, the development of educational facilities, and the encouragement of immigration into the territory. Also discussed are possible mineral deposits in the Black Hills, the improvement of the Snake River for navigation, mail service, and the building of roads. The Northwest Territory, established by the Ordinance of 1787, was bounded by Pennsylvania on the east, the Ohio River on the south, the Mississippi River on the west, and the border with Canada on the north. The exact date of termination of the territory was contingent on the admission of Ohio into the Union. Because Congress failed to act on the matter, the effective date of 1803 was not officially established until 1953. The majority of the documents deal with problems of land claims, especially those of Indians and of those granted land by the French government. 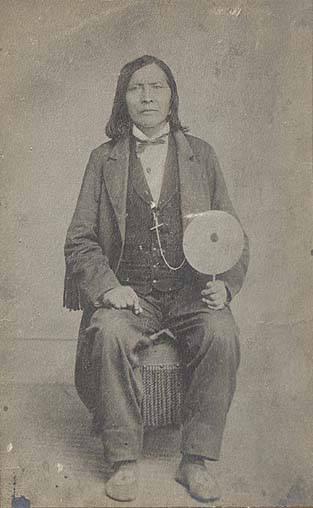 The principals in the disputes were the Wyandot, Delaware, Ottawa, and Chippewa Indians and the inhabitants of the Cahokia, Kaskaskia, and Vincennes areas. Lists of the inhabitants of Cahokia and Kaskaskia are given. The records consist mainly of communications received by the secretary of state from the governor of the territory from April 1864, to February 1872. Arizona was established as a territory in 1863 and was supervised by the Department of State until 1873 when responsibility was transferred to the Department of the Interior. Many letters relate to Indian uprisings during the Civil War after most Federal troops had been withdrawn for service in other regions. Several letters request military and diplomatic assistance to resolve problems related to crimes committed near the Mexican border. The collection also includes proclamations and messages by the governor. The act establishing Idaho Territory was approved in 1863. The publications in this collection date from 1863 to 1873, when supervision of all the territories was transferred to the Department of the Interior. 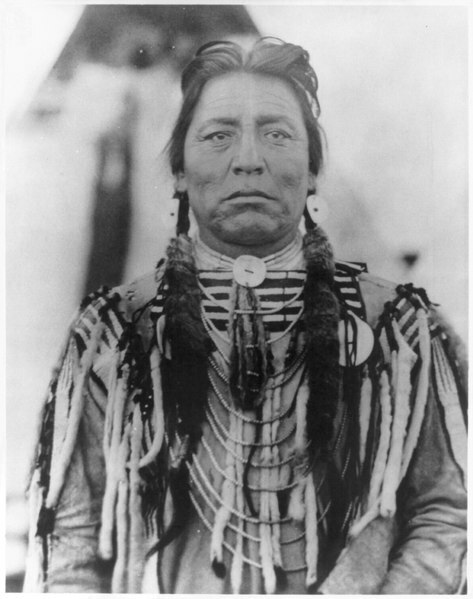 Correspondence relates to such subjects as the removal of the capital from Lewiston to Boise, sporadic attacks by the Nez Perce Indians and other Indian difficulties, and proposed solutions to the Indian problem. A few records from 1864 to 1866 and most of the documents from 1866 to 1869 relate to charges of malfeasance in office directed at the governor and the secretary. Other records relate to mining, financial problems, education, Chinese immigrants, and friction between northern and southern sympathizers in the assembly. The majority of the papers predate the establishment of the Territory of Florida (1822) and terminate many years before Florida's statehood was attained (1845). Some of the early documents deal with the attempted seizure of East Florida in 1811-1812; others deal with the Seminole War. The greater part of the material concerns the occupation of Florida by Andrew Jackson and his military government. Of special interest are the manuscript maps and drawings of East Florida that were forwarded to President John Quincy Adams by Jackson in 1821. Four volumes of the Department of State files relate to the affairs of Montana Territory from its establishment until supervision of the territories was transferred to the Department of the Interior in 1873. The records include copies of correspondence, proclamations, messages, and proceedings of the Executive Office and of the Legislative Assembly. The correspondence relates to such subjects as the conflicts between the Indians and the settlers, the effect of the arrival of settlers from the South on territorial politics, and methods used to encourage immigration into the territory. Other records concern education, mining, and railroads.